As we enter the holiday season, our lives get extra busy with family and friends. And the East Village Association celebrates another year as a positive force in our neighborhood. This year, we again will mark the season by meeting for dinner at a local restaurant. I am happy to invite all EVA members to the annual EVA holiday event at Angels & Mariachis, 1721 W. Division St. This year the EVA Holiday Dinner will be at 7 p.m. Monday, Dec. 7. A reservation is required. Please respond to holiday@eastvillagechicago.org with your commitment to join us in this holiday tradition at a new venue. Please respond by Monday, Nov. 30, so we can prepare for the number attending. 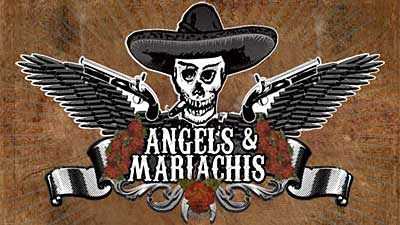 Angels & Mariachis is offering an appetizer buffet including cheese quesadillas, rolled beef tacos & rolled chicken tacos, which will allow members to socialize as the group is gathering. Then dinner from the standard menu will be offered as a sit-down service. This will include soft drinks and coffee. Drinks are available and will the responsibility of those individuals ordering. Angels & Mariachis will reserve seating in their upstairs dinning room. In keeping with EVA tradition, we want to share with those in our community who are in need during this holiday time. Everyone attending the EVA Holiday Dinner is asked to bring a donation of warm clothing that will be collected for Northwestern University Settlement House at Noble and Augusta. Bring anything from hats to socks, sweaters to boots, gloves, coats  you get the idea. Your donation can be new clothing or used (they must be clean and without holes) for adults or children. Please do not wrap the items so they can be viewed by size. Northwestern Settlement is dedicated to supporting families in West Town and will focus your donations to families in the East Village area. What a great way to share and care about those around you! This December holiday event will replace the monthly general meeting for EVA. We will take this time to enjoy the life and times of our neighborhood while we support one of our many local restaurants. Please take some time to join us in this EVA holiday event and share some warmth with the Northwestern Settlement families.